Learning process doesn’t only happen at classrooms and teachers can bring students to various places. Field trips are sometimes criticized as being too expensive and time consuming. The whole class will need to be transported using the bus. There are many potential problems related to field trips and teachers will need to know about all the essential details. Teachers could be quite busy and they need to fully coordinate the trip. 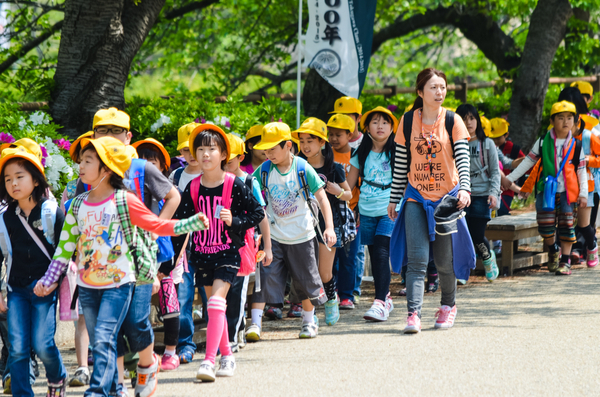 The school needs to notify parents about the field trip activities to ensure that full support can be gained. Teachers also need to determine the actual goal and focus of the field trip, so students can achieve the desired results. The schedule should also be arranged properly, so that there’s minimal impact on the regular school schedules. Field trips should provide us with an immense amount of great lesson and we will be able to gain plenty of experience, both for teachers and students. This is an opportunity for students to see how things that they learn at schools can be implemented in real life situations. So, it is important that the field trip activities have direct correlation on what is being taught in the classroom. As an example, local museums can be visited to support history lessons. So, when students return to the classroom, they will have new and improved perspectives on what are being taught by teachers. This will bring an immense impact for students and we can ensure that they will have even better performance in school and it’s something that we need to consider about. There are tools that can be used to make the field trip a more engaging experience for many students. Playing educational DVD related to the goal of the field trip will bring more understanding for students. They will understand about many more things and this is a goal that needs to be achieved by any teacher. The field trip should be based on the existing curriculum. We will be able to introduce new ideas. Teachers should also ask students to prepare a list of questions. The guide or instructor in the field trip location will be able to answer these questions. Teachers should also prepare various post-field trip activities. Students can be asked to review notes, photos and video recording. They should be asked to create a report on their activity in the field trip location. New technology can be implemented to ensure that our experience in the field trip can be improved. As an example, students can be asked to present a video filled with narration that describe about the location of the field trip. This should be applicable for teen students who are able to use computer software to achieve the needed results. They can use digital cameras to record video with decent quality and they could add voice-overs using video editing software. The task could also become a computer-related project to implement skills they received in the computer skill classrooms. Field trips should become quite beneficial for any student.